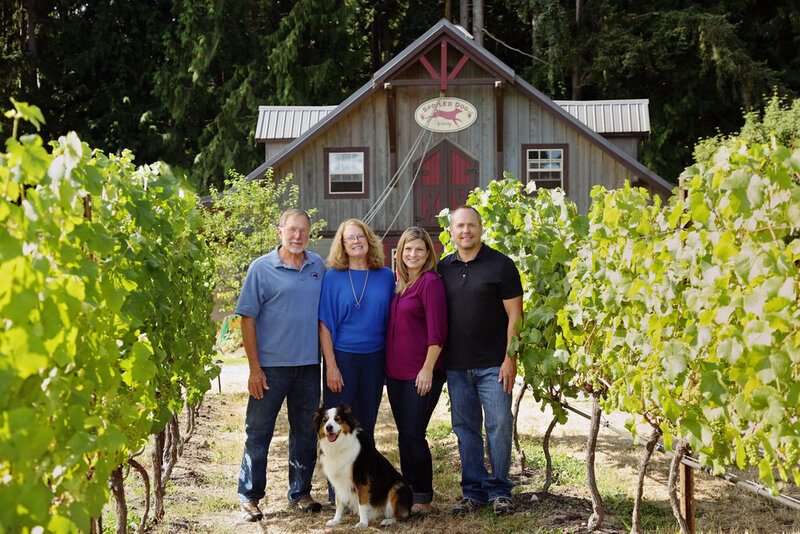 After alternating between homes in Colorado and overseas, Karen and Jack Krug decided to settle on Whidbey Island so they could grow pinot noir. 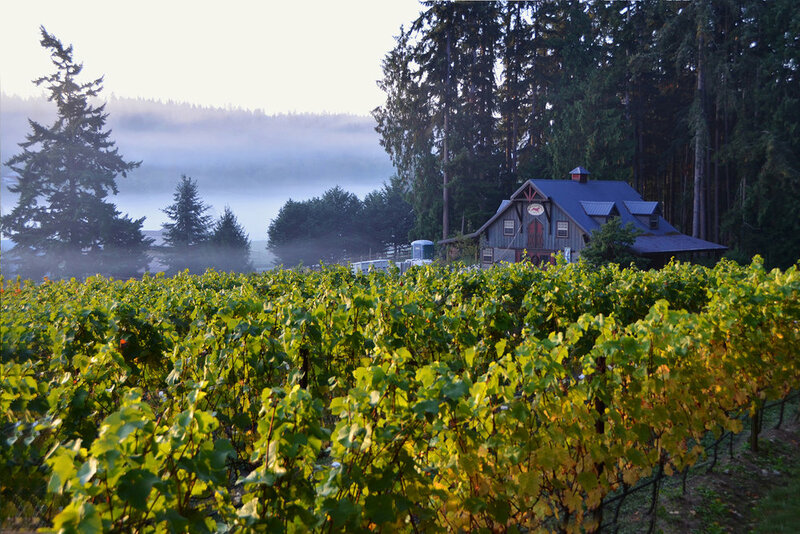 They had spent time sailing around Washington’s islands and believed Whidbey to have the perfect growing season and rainfall patterns for superb pinot. In 2003 they purchased 25 acres and started planting, producing the first "Spoiled Dog" wines in 2007. With a copyrighted last name they couldn’t use for their winery, they turned to their very spoiled dogs, who welcome visitors and inspire an annual spoiled dog contest for special pets from around the world. 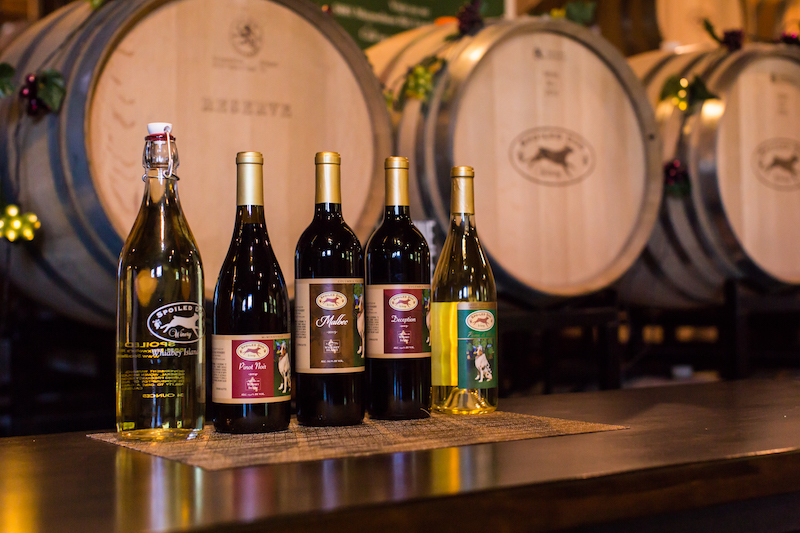 Spoiled Dog Winery is a working farm and vineyard in a stunningly beautiful setting that’s a destination place for memorable wines, farm tours, and winemaker dinners in the vineyard. Although Karen and son Jake specialize in both new and old world style pinot noir, they also make many other wines sourced mostly from grapes in eastern WA. Their Deception blend named after the island pass is a Bordeaux blend, and they also make a malbec and a malbec port, the latter fortified with their own wines distilled down the road. The “pooch wine” is not to be missed -- house wine on tap that is excellent, inexpensive, and sold in growlers. Taking advantage of the 100 year old orchards on the farm, they also make an apple and pear wine that is 85% apple and 15% pear. Listen here to learn more about pinot noir clones, some advantages of growing pinot on American rootstock here in Washington, farm to table wine dinners that help local non profits, benefits of malbec for port, and much more.